Acclaimed scholar and bestselling author Paul Kengor changes that. 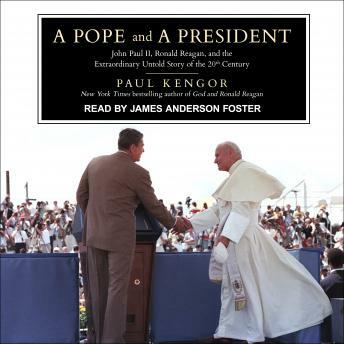 In this fascinating book, he reveals a singular bond-which included a spiritual connection between the Catholic pope and the Protestant president-that drove the two men to confront what they knew to be the great evil of the twentieth century: Soviet communism. Reagan and John Paul II almost didn't have the opportunity to forge this relationship: just six weeks apart in the spring of 1981, they took bullets from would-be assassins. But their strikingly similar near-death experiences brought them close together-to Moscow's dismay.